The Central Intelligence Agency’s World Factbook says “Argentina benefits from rich natural resources, a highly literate population, an export-oriented agricultural sector, and a diversified industrial base.” A hundred years ago, it says, it was one of the world’s wealthiest countries. But that was then and this is now. Or nearly now. In the intervening years, Argentina’s economy has surfed a series of booms and busts and in late 2001, the nation defaulted on nearly $100 billion in sovereign debt as its currency collapsed — a record amount for a government. On June 23rd the country’s statistics agency announced that Argentina’s economy had officially entered recession, shrinking by 0.8% in the first quarter of 2014 after a 0.5% contraction in the final quarter of 2013. Many economists are expecting the first calendar-year recession since Argentina’s devastating 2001-2002 financial crisis. Many of Argentina’s problems are familiar. Inflation has plagued Argentina for much of the past decade; it still grew by an average of 5.6% from 2005-2013. Exchange and trade controls have long made it hard to get hold of primary materials, stifling production. But whereas in the past Argentina could maintain growth by propping up the peso and consumers’ purchasing power, falling foreign-exchange reserves mean it can no longer afford to do so. However it ends, Argentina’s standoff with the holdout creditors is likely to exacerbate this problem. 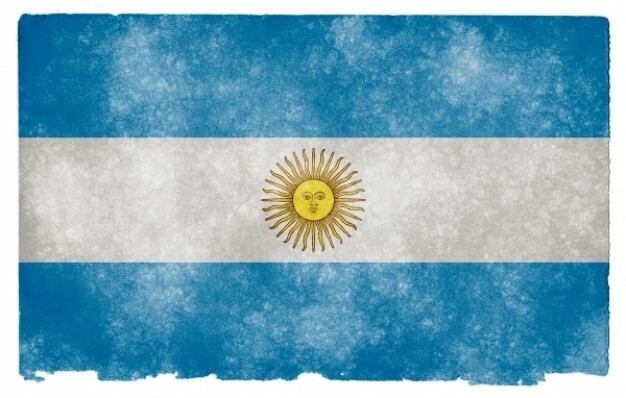 On June 27th the New York judge in charge of the case warned Argentina that its preparations to make a June 30th payment to its exchange bondholders, without also paying the holdouts, would not be allowed. If Argentina cannot find a way to pay its exchange bondholders by the end of a grace period on July 30th, it will be in default. According to Fausto Spotorno at Orlando Ferreres & Associates, defaulting would “make a situation that is already unsustainable, less sustainable still”. Commercial credit lines would be cut off, he says; investment would drop to zero and access to dollars would be further strangled, putting more pressure on the peso. Negotiating a settlement with the holdouts has its own costs. A cash payment to the holdouts would mean a further drain on the country’s foreign-exchange reserves, again putting pressure on the currency. 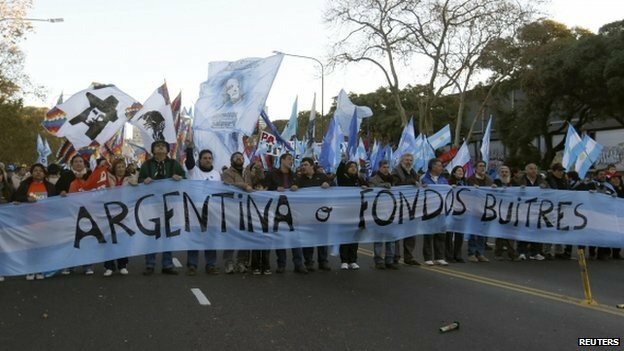 Argentina could try to pay the holdouts in bonds, as they recently did to compensate Repsol, the Spanish oil company, for the expropriation of its stake in YPF, another oil firm, in 2012. But with lots of new IOUs already in the market, that might make it less easy for the country to fund itself with new debt even if there is a rapprochement with the holdouts. In any case, access to financing will not solve Argentina’s deficit problems. The fiscal deficit swelled to 15 billion pesos ($1.85 billion) in the first quarter of 2014. To reduce this gap the Argentine government will need to curb spending, a task that would be tough politically and would do little to pep up the economy. At the very least the Argentines can take heart from their national team’s World Cup performance so far, maybe this will be their year.